-Recitherapy: Burgers . simply put . Burgers . simply put . First things first, HAPPY AUSTRALIA DAY! Technically it was yesterday since yesterday was January 26 for all the Aussies, but I live in the here and now, and today is Australia Day for us! So later tonight, I'm making ANZAC biscuits, which I'll explain in a later post. 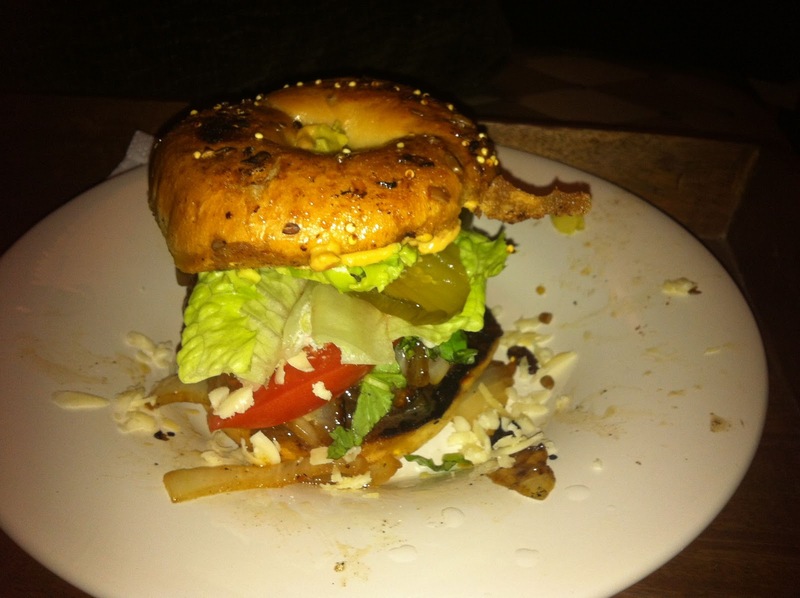 So this is by no means a super "healthy" burger... but it's not awfully unhealthy either... just the bagel part of it is sinful really. All I'm sayin' is that James and I have MASTERED the art of a "better than a restaurant" burger and you should be able to enjoy it too. 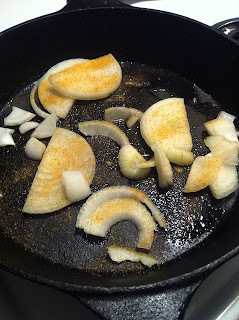 slice up half an onion, pour some olive oil in the skillet, dust with seasoned salt, drop the onions in, slightly olive oil and seasoned salt some more and keep the heat on low. stir occasionally until they turn translucent and brown. spread your ground round (we use 90/10) on a plate and season it with ground pepper and seasoned salt- nothing else... let the meat speak for itself. 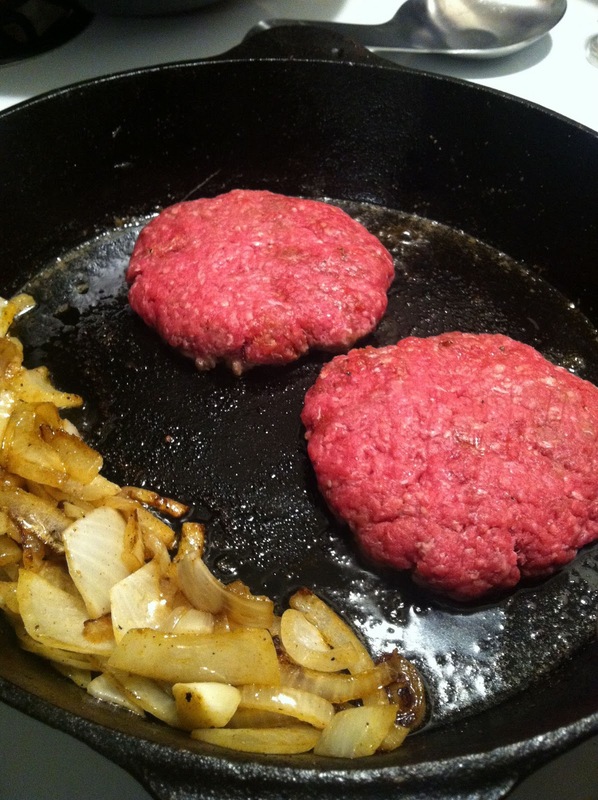 (sorry jord) form the meat into patties and place it in the skillet that you had the onions cooking in. (keep the heat low, maybe raise it just a little) this way, the meat will be seasoned with the cooked onion flavor and juices as well. grate two kinds of cheese. yes grated. yes two kinds. be adventurous. 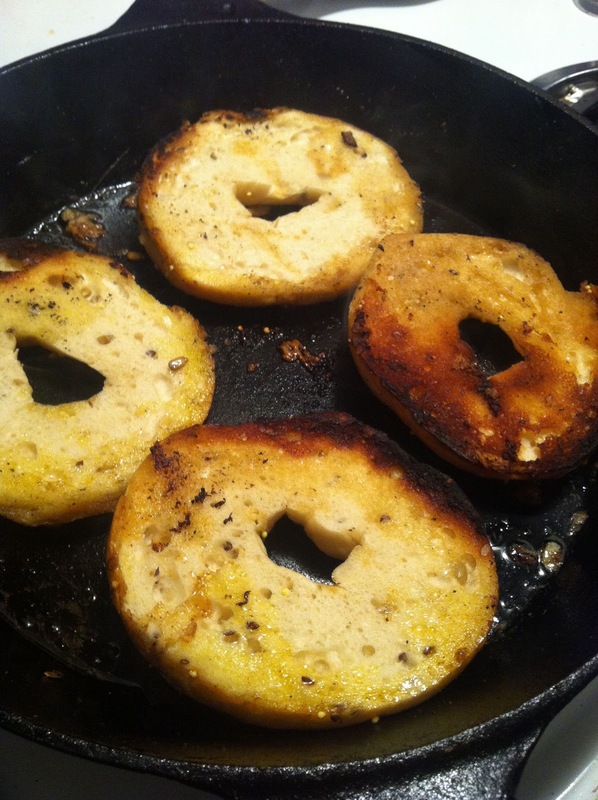 so much better than pre-done slices of junk. slice up half of an avocado. if you have it, finely chop some basil. yes do it. that was James' contribution last night and it kicked you know what. chop up some super crunchy, green green lettuce. dish out some hummus. YES! hummus on a burger should become your new staple. OBVIOUSLY, get out the ketchup and pickles. now, back to the burgers. you should probably have flipped these babies once by now and they should be close to being done. here's the trick, don't cook them fully and then pull them out of the pan... we want to melt the cheese on top while they're still in the skillet so just be mindful. 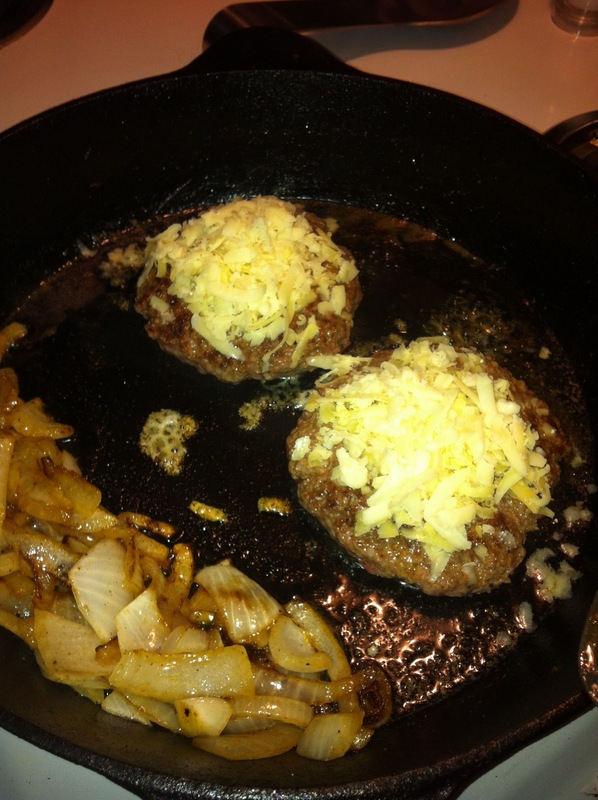 when they're looking close to being done, put those two kinds of grated cheese on top. now, we don't have a lid for our cast-iron skillet so james uses our wok to do the job. 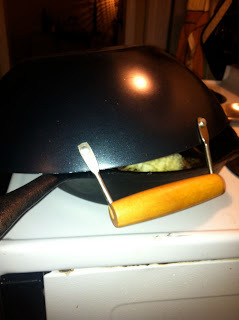 if you have a lid to your skillet, put it on top and turn the heat to a little lower again and let that cheese get gooey and awesome. now the burgers should be done. 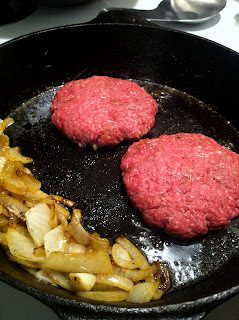 take the onions and the burger patties off the skillet but leave the heat on and all the juices in the skillet. 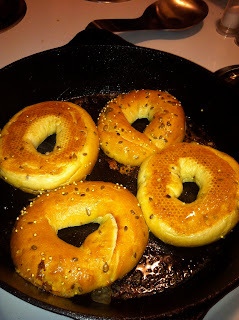 place the all four bread pieces in the skillet and let them get golden on both sides, or at least golden and brown on the edges. spread hummus on the bottom pieces and ketchup on the top pieces. 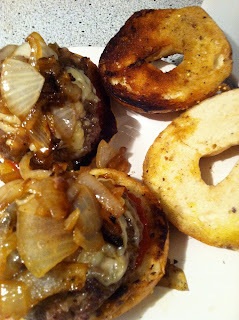 place the burger patties on and top with the sauteed onions. top the onions with a little chopped basil. spread some avocado and pickles on the top pieces of bread. 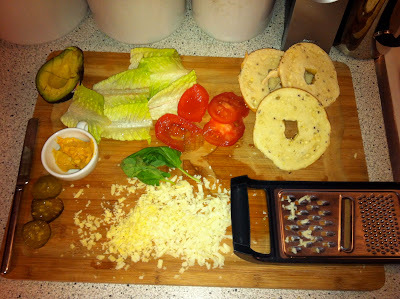 place lettuce on the top pieces so you can hold in the pickles and avocado when you put the top on. 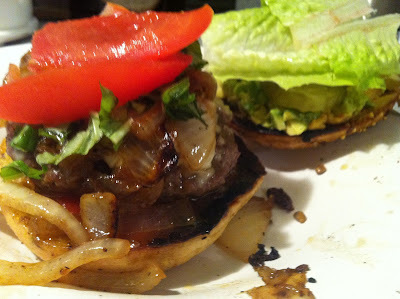 place the sliced tomato on top of the basil and onions. wish yourself good luck trying to get your mouth around this glorious, monstrous burger and ENJOY! seriously? 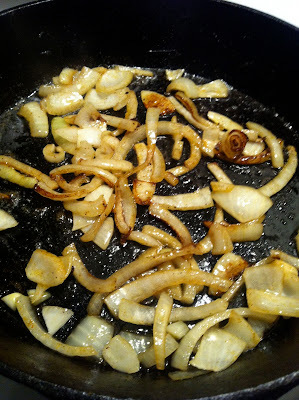 look at those onions. 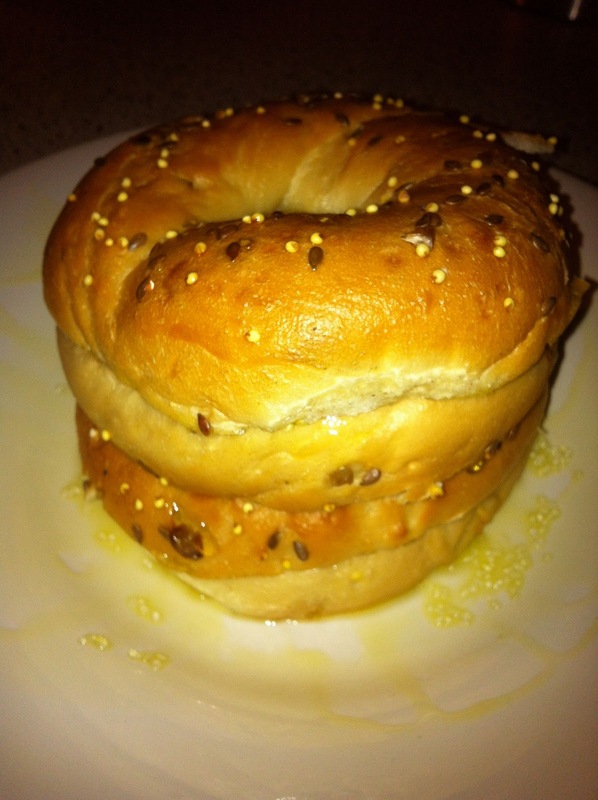 if you're not an onion person, it doesn't matter. use them here. don't think about it. just do it. worth it. 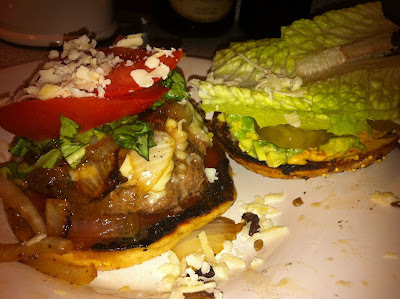 I'll tell you this much... no burger out there is gonna be able to hold a candle to this one... so if you have a love affair with IN-n-OUT, Burger Up, or Mickey D's, stay away. BUT, if you're an adventurer, a lover of good food, and the master of your own kitchen who doesn't settle for crappy food, have at it friend. and invite over a few neighbors to enjoy too!